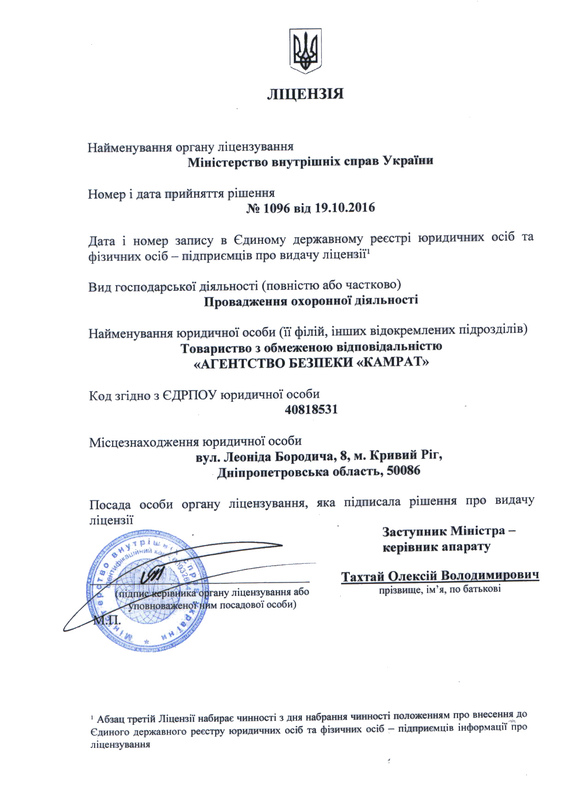 ПРО КОМПАНІЮ | АБ "КАМРАТ"
The company "Kamrat" has been working in the market of security services since 2005. Many years of experience of employees of law enforcement agencies and other law enforcement agencies we use to protect the lives and property of legal entities and individuals. One of the priority areas of our activity is the prevention of economic risks, financial consulting, as well as consulting in corporate recruiting. 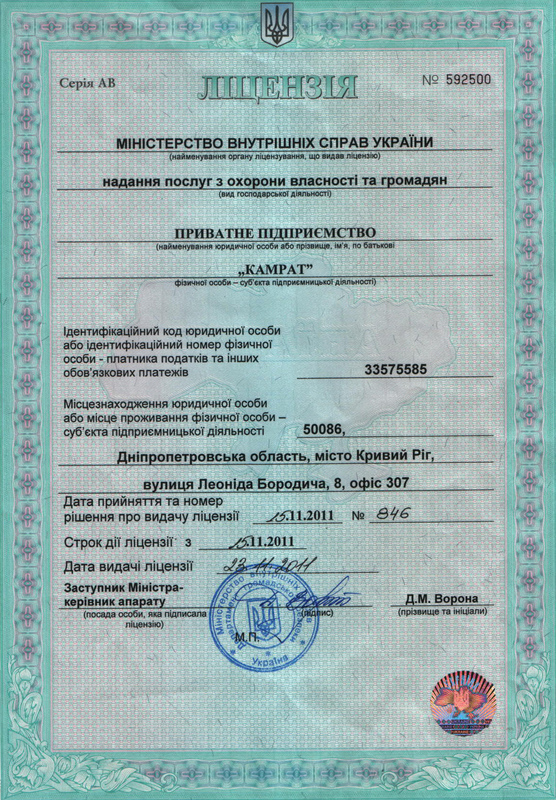 All the activities of the enterprise are carried out in full accordance with the legislation of Ukraine and generally accepted ethical norms. When contacting the company, the client can be sure of absolute confidentiality. Among the customers of our services are leading Ukrainian and international companies, private and public persons. Our team unites experts in the field of economic and physical security with a high professional reputation. 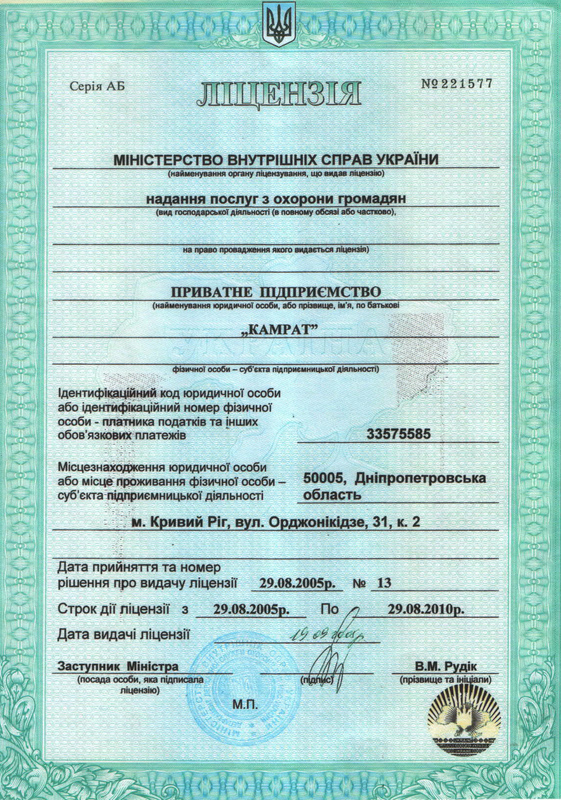 Thanks to many years of conscientious work, "Kamrat" has a reputation of a reliable partner and the status of one of the largest security companies in the city.